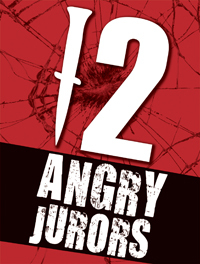 The Sudbury Savoyards are pleased to announce auditions for their 2019 production of "12 Angry Jurors." Please note: We intend to cast both men and women. Rehearsals will take place on Tuesdays and Thursdays from 7-9, with Sundays added mid-June. Please sign up for a half-hour time slot below. Contact the director, Jake Lewis, at [email protected] with any questions. I will come at 730 if I can...rowing has been running late.